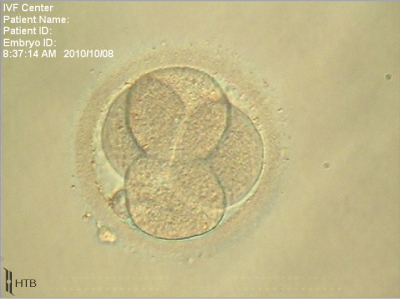 The fertilized oocytes then divide to form embryos. The embryologists assess their evolution every day. Each embryo will be assessed according to several criteria (number of cells, regularity of the cells, presence or not of fragments, etc.). 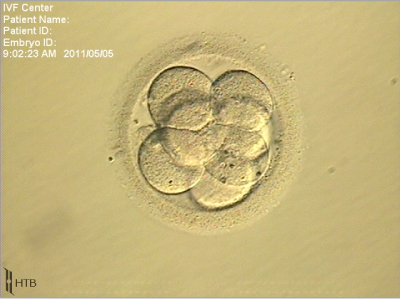 The best embryos will be chosen for insertion into the uterus, generally on the fifth day after oocyte retrieval. At this stage, the number of cells in the embryo will have significantly increased, the cells will have differentiated and formed the blastocyst. Good quality supernumerary embryos can be frozen. Average quality embryos are left in culture for 1 more day until day 6. If the embryo continues to develop favourably, it will also be frozen.